We are accepting applications for substitute teachers. We are looking for enthusiastic, skilled and adaptable teachers in our 39 schools! Demand is particularly high in school such as Kipling, Whitewood, Broadview, Kennedy-Langbank and Kelliher. Please review the following information prior to applying. To apply, you must hold a valid Saskatchewan Professional A Teacher's Certificate and be registered with the Saskatchewan Professional Teachers Regulatory Board. Review the map of our school division and clearly indicate at which schools you are willing to work. Be specific as to your areas of teaching specialization. Include at least three professional references with names, titles, relationship and contact information. References must have supervised you in your teaching practice. We will review your application, complete reference checks and invite potential candidates to an interview at our Education Centre, located just minutes north of Regina. Substitute Teacher intakes are conducted quarterly throughout the year by September 30, December 31, March 31 and June 30. Interviews are typically conducted within 2-3 weeks after the intake close. Interviews are conducted by a superintendent or school-based administrator and can take approximately 30 minutes. Please note, reference checks will be completed after interviews are conducted. Successful applicants will be invited, via email to a half-day, paid orientation session shortly after interviews are held and reference checks have been conducted. Once you have completed the orientation session and provided the necessary documents including a current Criminal Record Check, Vulnerable Sector Check, Saskatchewan Professional Teachers Regulatory Board (SPTRB) and official transcripts, you will be activated as an available substitute teacher for the schools you have selected. We are accepting applications for casual/substitute educational assistants, caretakers, administrative assistants and nutritional assistants. We are looking for enthusiastic, skilled and adaptable staff in our 39 schools! 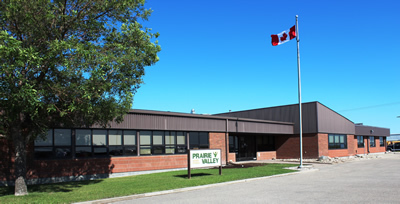 Demand is particularly high in schools such as Kipling, Whitewood, Broadview, Balcarres, Kennedy-Langbank and Kelliher. Complete an application form by clicking here​. Review our map and clearly indicate at which schools you are able to work. Review the job description to ensure you understand the expectations of the position at Job Descriptions. Include at least three professional references with names, titles, relationship and contact information. References must have supervised you in your work. For caretakers, administrative assistants and nutritional assistants, we will review your application, check your references and contact those individuals whose applications we wish to pursue. We will review your application form, check your references and invite candidates to an interview. Interviews are conducted quarterly throughout the year by September 30, December 31, March 31 and June 30. Interviews are typically conducted within 2-3 weeks after the intake close. Interviews are conducted by Human Resources and can take approximately 45 minutes. Please note, reference checks will be completed after interviews are conducted. Orientation sessions are held periodically throughout the year. Upcoming orientation session will be held on the afternoon of April 30, 2018. Once you have completed the orientation session and all your paperwork is in order, you will be activated as an available substitute educational assistant for the schools you have selected. To get started with your application, click here​.